We made a delivery of horse chestnut table top and legs. The chair is a turning chair made with ash. 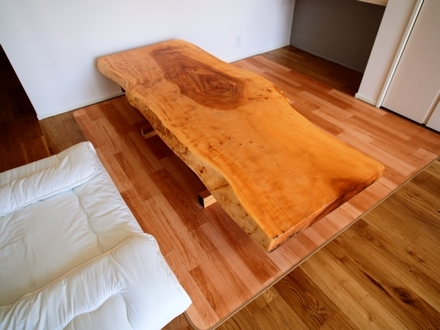 The bench is made from zelkova. The customer was a young couple. 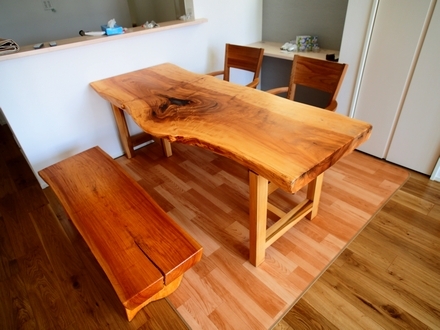 It was their wish to buy a solid wooden table for their new house from Kiraku Wood Workshop, because their older sister bought one from us before, and liked it very much. We appriciate it very much!! 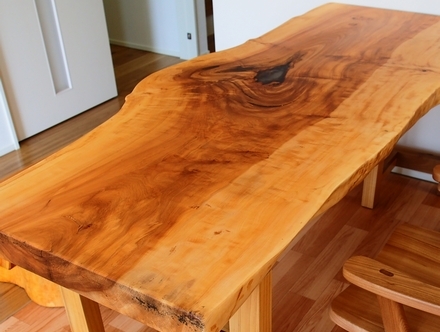 They will use the slab's backside first because it has a knot which looks like a heart shape. They like it very much. Have a happy life together!